Lallaing is a village east of Douai in the Nord Department. 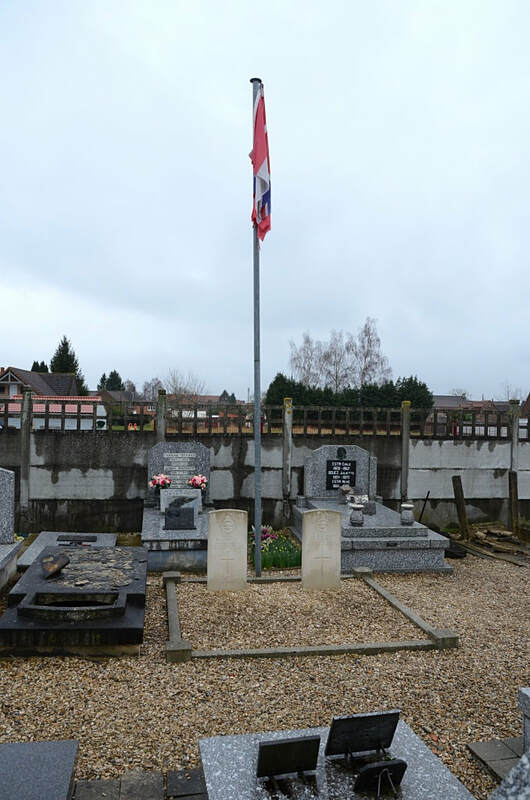 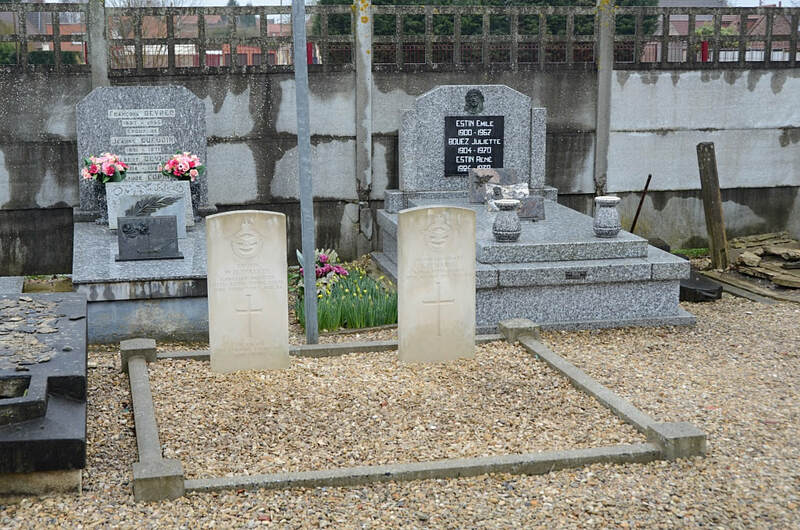 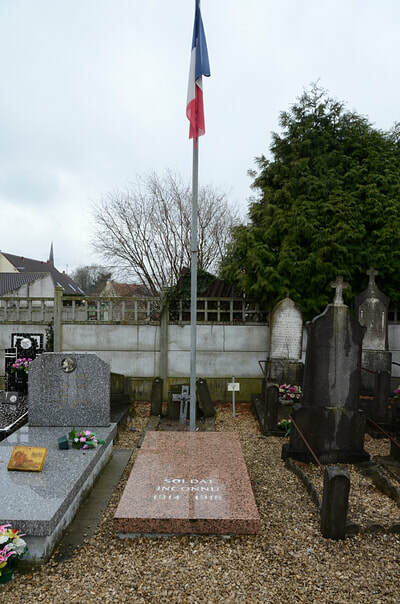 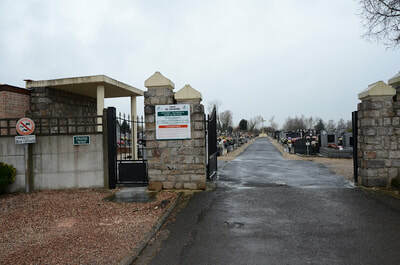 The Communal Cemetery is located to the North of the village on the Rue Faidherbe. 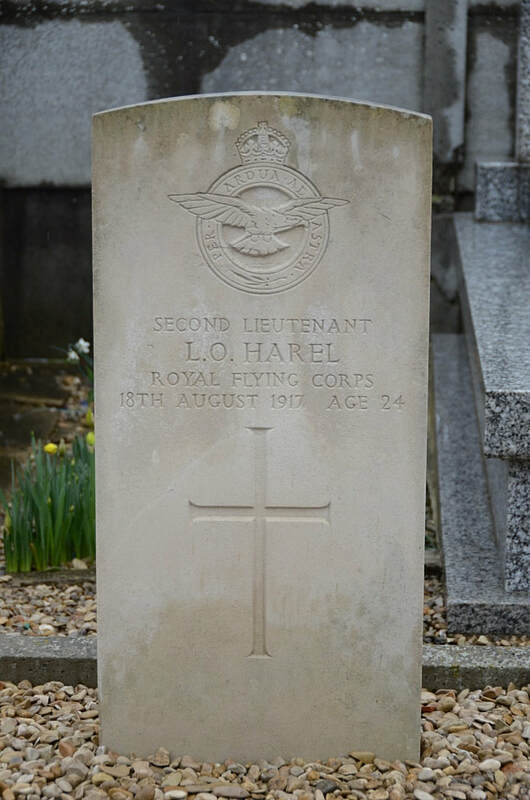 Second Lieutenant Louis Octave Harel, 11th Squadron, Royal Flying Corps and General List, died 18th August 1917, aged 24. Son of Doctor Edouard Harel and Mrs. E. Harel, of Mater Birn, Mauritius. 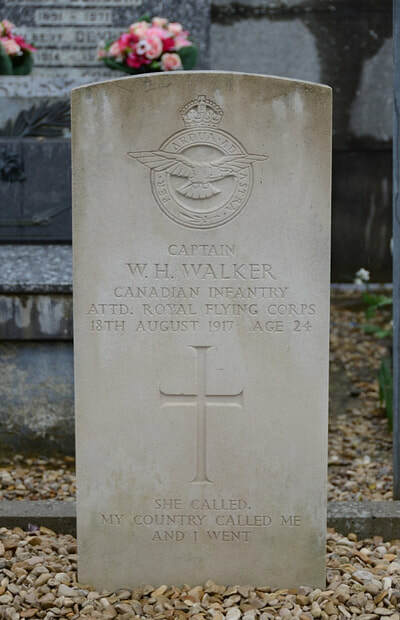 Captain W. H. Walker, Canadian Infantry attached to Royal Flying Corps, died 18th August 1917, aged 24. Son of Helen J. Sinclair (formerly Walker), of Tugaske, Saskatchewan, and the late William Walker. Born at Earlston, Berwickshire, Scotland.